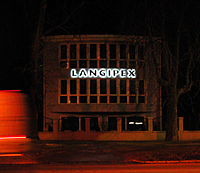 Langipex Kft. was founded in 1991, primarily to supply small and large enterprises in the meat, poultry and other processing industry with machines and accessories, as well as technological consulting. AIn the past 10 years we have gradually grown and changed from the initial family business to become a major market factor in the industry. In 2002, the building our site has been completed, and and we have moved into our long aspired new offices and showroom on March 1st. In our showroom, most of the machine park supplied by our principle contractors is permanently exhibited (equipment in more than 150 million HUF value), therefore we can ship the most important meat processing machinery directly from our stock. We have supplementary stock of fairly young used equipment (not older than 7-8 years), refurbished by the manufacturer, that we offer to our partners with warranty. We do our best to satisfy our clients needs concerning spare parts and accessories. 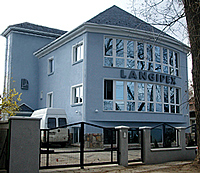 Please be welcome on our site in Budapest 16th district (Mátyásföld).